Weddiquette: These 4 Books Will Get You Through the Never-Ending Wedding Season! The summer wedding season is upon us, which means your mailbox is overloaded with shower, bachelorette and wedding invitations. Lucky you, you’ve received yet another golden, silk envelope with a monogram to celebrate the next chapter of your best friend’s life. Sure, you’re filled with excitement and just like every other time, you immediately start planning your outfit, the bachelorette party, and of course, finding the perfect date. Unfortunately, sometimes there’s so much involved in the planning that you don’t get to just sit back and enjoy the wedding prep. Don’t worry though, you’re not alone. Just try to remember that friend of yours last summer who went to eight weddings in one season; if she could do it then you can too. We often forget that there are some do’s and don’ts associated with weddings and sometimes we just need a little help with certain decisions. So if for some reason you just can’t seem to catch your breath while drowning in all of that wedding debt, grab one of these books to guide you through the proper wedding etiquette: weddiquette. Champagne? Merlot? IPA? There are so many decisions for what to drink at an event that it can be surprisingly stressful; so stressful, in fact, that you may need a drink before even arriving at the bar. Of course, the type of reception you’re attending does play a role in deciding on what to use to toast to your best friend. So if you don’t want to end up being the one calling a cab at the end of the celebration or saying something you may regret to that long-lost relative, understanding your environment is critical. This Calls for a Drink! breaks down any and all events, so that you’ll never have to worry about being empty-handed or filled with word-vomit on the day everyone remembers. 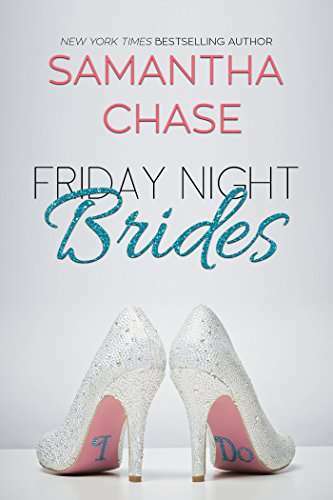 For the group of bridesmaids who have been there for one another since elementary school, Friday Night Brides is an enchanting story about four best friends who are looking for their happily ever after as they come upon the crossroads of life. Whether you’re the bridezilla or the maid of honor, this book is perfect for anyone interested in weddiquette. And don’t worry, between Hailey, Angie, Ella and Becca one of these fabulous girls will definitely show you the way to the chapel properly. First time at a wedding? Never fear! Jen Doll lays it all out for you through her personal experiences from the MANY weddings she has gracefully attended. From destination weddings to your boyfriend’s best friend, to packing white sandals or an extra case of Rosé, Save the Date offers a fresh and funny look into the phenomenon of the serial wedding guest. You’re not the only one feeling like your weekends and PTO are being used up by other people, namely attending their weddings and celebrations. Of course, every girl simply enjoys purchasing a pretty new dress and getting their nails done, but let’s be honest, it all seriously adds up. Isabella, Mary and Lauren feel your pain, in fact sometimes they think they’re only working to be able to afford to attend other people’s weddings. With friendship, young love and the understanding of the modern day wedding, Jennifer Close perfectly describes the trials and tribulations of the endless wedding season we all face at least once in our lives. Mercedes Reiner is not related to the luxury vehicle. She enjoys long walks with her American Eskimo Kobe, Australian fashion, James Patterson novels and a variety of music- especially Mother Monster. If she's not busy traveling to music festivals or brunching in the city she's working on a DIY project in her loft.